You’ve dropped your beloved iPhone and smashed the front glass. There are few things more sad. This scenario played out for my wife, who had dropped hers this summer, only 9 months into her AT&T contract. Luckily the phone was still very usable; it was just not easy to see anything on the top third of the display. If you’ve cracked your iPhone, you may already know that your warranty does not cover accidental damage (although, you should check with your credit card company…some, especially AMEX, will pay for a replacement if you bought it with a qualified card!). You’ve probably inquired with Apple and they’ve told you they offer a “service replacement” for $200. Cheap? No. 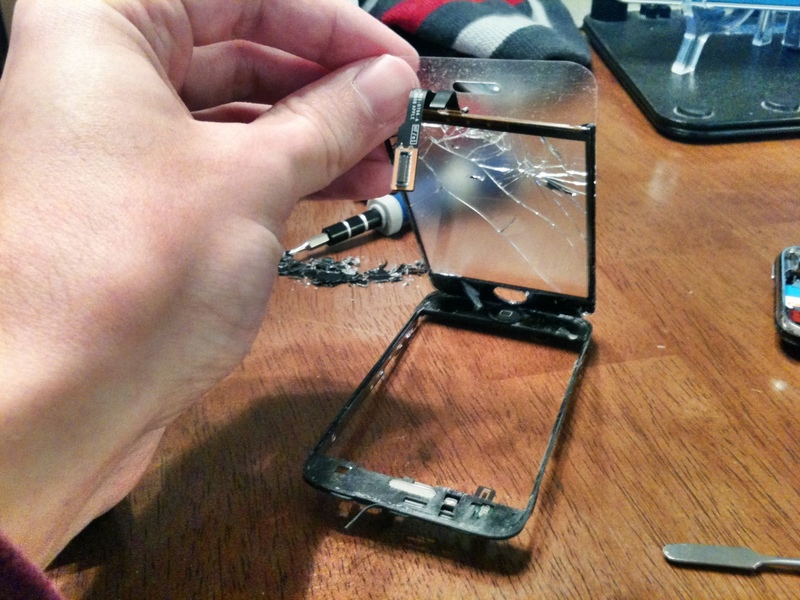 It is possible to repair an iPhone yourself and probably for less than $200. You can find repair kits and extensive instructions online. Let me put this out there as a (former) triple-Apple-certified technician: it is not easy to repair your iPhone. My recommendation is that you don’t try this yourself unless you’re experienced at repairing electronics with extremely small components and tight tolerances. Now that I have that disclaimer out there, I do have experience repairing Apple electronics. So I repaired my wife’s display using a kit and instructions from iFixit.com. It was not easy. The instructions themselves rank the repair as “Difficult”. The repair is very simple, but one step in particular is very difficult. Removing the front glass panel from the components that are glued to it is challenging. With the proper tools, it took me more than an hour. I’m writing this post for anyone who has also bought the iFixit iPhone 3GS Front Panel kit so if you get stuck where I got stuck, hopefully Google has lead you to this post and my commentary is helpful. The town should have spent its energy visiting the soccer hall of fame. Then maybe it would still be open. p.s. How does NY State get so many hall of fames? They’re all out in the middle of nowhere. The crazy thing about the return of Elvira, Mistress of The Dark to the small screen is that it’s taking place on ThisTV. Crazy because all us people who don’t have cable still have a chance to watch. I was too young in the 80’s to appreciate her sense of humor and the campy horror movies she shared. I’m excited to check out the show. Elvira, Mistress of the Dark at Amazon. Even if you’ve never made a purchase from Woot, and when they sell stuff like “bags ‘o crap” I wouldn’t blame you, you should read the hi-larious post about the acquisition. I know I say this every time I find a picture of an adorable kitten, but please set aside 20 minutes to carefully read this entire email. After reading the first chapter of A List Apart’s foray into books I can’t wait for it to arrive. Matt Katz recently sent in an email regarding the code we use to display our OPML lists. He needed a second pair of eyes to go over his new class. Turned out the bug wasn’t in his display function but the once over highlighted some other issues with ours. The pages here are now updated but we can’t keep this all to ourselves. Here’s the updated code for traversing an OPML file. While working on a friend’s wedding web site an oddity in Chrome’s handling of @font-face came to light. Paul Irish’s code works wonders for enabling the inclusion of alternative typefaces across browsers. Using Goudy Bookletter 1911 on a production site is exciting. But the navigation breaks when I load up my site in Chrome 3 at work. As you can see here, the letter spacing of .2em is not applied to the typeface. But as soon as I remove the “Goudy Bookletter” declaration from the CSS it magically starts working. A search through Google produces nothing relevant so I thought I’d document the problem here. Considering this does not affect the latest version of Safari I have no problem waiting for the fix to work its way into Chrome. Update: Just to clarify, Chrome 4 fixes this issue. Tim O’Reilly is getting a lot of links to his “War For the Web” piece. For the most part it’s worth a read. However, I wonder what goes through a “guru”‘s mind sometimes when they write lofty pieces like this. Do they just run it off all in one blast, (like I will on this post) or do they let it sit a couple days, edit, rethink and then post? The Apple iPhone is the hottest web access device around, and like Facebook, while it connects to the web, it plays by a different set of rules. Anyone can put up a website, or launch a new Windows or Mac OS X or Linux application, without anyone’s permission. But put an app onto the iPhone? That requires Apple’s blessing. There is one glaring loophole: anyone can create a web application, which any user can save as clickable application on their phone. But these web applications have limits – there are key capabilities of the phone that are not accessible to web applications. HTML 5 can introduce all the new application-like features it wants, but they will work only for web applications, and can’t access key aspects of the phone with Apple’s permission. And as we saw earlier this year with Apple’s rejection of the Google Voice application, Apple isn’t shy about blocking applications that it considers threatening to their core business, or that of their partners. So, because Apple limits what apps can be on the phone, they’re closing down the web? Um… wha? The iPhone is a bit more than just a web-access device, by the way. He says “one glaring loophole” as if Apple mistakenly forgot to lock down Safari to only approved websites. Name the last time Apple forgot to lock something down in error. The iPhone is not the web. iPhone Apps don’t alone give access to the web. 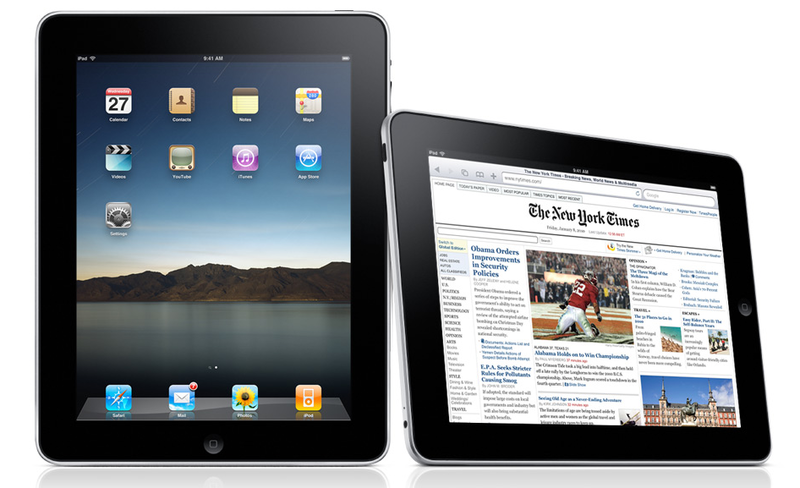 The device, although popular with geeks, doesn’t have the marketshare it’s influence might lead you to believe. Secondly, there’s nothing in HTML5 that is available in the iPhone that Apple only allows access to by an App. No, a web app doesn’t have access to various APIs available in the iPhone, but those functions aren’t part of the (actually still incomplete) HTML5 specs. In other words, Apple hasn’t broken anything web related. In fact, they should be given credit for a) bringing HTML5 to the mobile world b) being a forebearer of HTML 5 in the first place… hello? WebKit? You know, free, open-source and the same thing Chrome and a number of mobile browsers are based on? C) bringing the real web of any kind to a phone. I’m all for a transparent App Store review process, and I’d love to see Google Voice natively on the iPhone. But this passage simply lacks logic. It’s more as if Mr O’Reilly needed more big names to bash in his piece.